Pickin' and grinnin', singin' and spinnin' tall tales and corny jokes, the citizens of Kornfield Kounty landed on television in 1969 with the arrival of HEE HAW as a summer replacement series for The Smothers Brothers Comedy Hour. Each week, co-hosts Buck Owens and Roy Clark and the cast of comedians and musicians welcomed the biggest stars in country music to perform their songs and help deliver the legendary corny one-liners. Though a hit, CBS dropped the show in 1971 in an attempt to "de-countrify" the network's programming; however, it was quickly picked up and became the longest-running weekly syndicated series in television history. And, this September, Time Life invites home audiences back to rural Kornfield Kounty for some timeless, down-home entertainment with THE HEE HAW COLLECTION. TV History, Includes 5 Episodes Never Released at Retail, Featuring Country Superstars such as Buck Owens, Roy Clark, Tammy Wynette, Merle Haggard, Conway Twitty, Hank Williams Jr. and Loretta Lynn; Exclusive Interviews, Hee Haw Laffs, Special Comedy Selections and More! FAIRFAX, VA - Pickin' and grinnin', singin' and spinnin' tall tales and corny jokes, the citizens of Kornfield Kounty landed on television in 1969 with the arrival of HEE HAW as a summer replacement series for The Smothers Brothers Comedy Hour. Each week, co-hosts Buck Owens and Roy Clark and the cast of comedians and musicians welcomed the biggest stars in country music to perform their songs and help deliver the legendary corny one-liners. Though a hit, CBS dropped the show in 1971 in an attempt to "de-countrify" the network's programming; however, it was quickly picked up and became the longest-running weekly syndicated series in television history. And, this September, Time Life invites home audiences back to rural Kornfield Kounty for some timeless, down-home entertainment with THE HEE HAW COLLECTION. The 3-disc collection features 5 episodes never-before-available at retail. These vintage episodes from the late 60s and early 70s, rarely seen since their original broadcasts, feature all the Kornfield Kounty regulars and their hilarious comedy plus country legends like Conway Twitty performing "Hello Darlin'," Merle Haggard singing his classic "Okie from Muskogie," Donna Fargo performing "Funny Face," Tammy Wynette performing her #1 hit "Ways to Love a Man," an unforgettable duet with Conway Twitty and Loretta Lynn performing "Pickin' Wild Mountain Berries," plus other country legends like Charlie Rich, Hank Williams Jr. and many other chart-toppers; gospel classics "I Saw the Light" and "I'll Fly Away" with Tennessee Ernie Ford and of course, even more country classics from HEE HAW co-hosts Buck Owens and Roy Clark. The collection, certain to thrill any Kornfield Kounty denizen or classic TV aficionado, also includes bonus interviews with show regulars including Roy Clark, Lulu Roman, George Lindsey, Charlie McCoy and Jim and John Hager. Additional bonus programming includes all-time favorite comedy from the early years in "Hee Haw Laffs," featuring "Board Fence," "Cornfield," "Moonshiners," "Doctor Spot," "Old Philosopher," "General Store," "Haystack," "Schoolhouse" and other knee-slappers. Conceived as a rural alternative to Rowan & Martin's Laugh-In, HEE HAWhoned in on country music and rural Southern culture.With Clark and Owens co-hosting, Minnie Pearl, Grandpa Jones, Archie Campbell and the rest of the HEE HAW gang traded knee-slappers and gut-busting one-liners in memorable sketches including "Doc Campbell," "PFFT! You Was Gone" and "Gordie's General Store"-- as well as the all-time favorites "Rindercella" and "Trigonometry" and the unforgettable menagerie of animated donkeys and pigs. And because HEE HAW was a favorite stop for country's greatest stars, the show featured hundreds of performances by top country stars at the peaks of their careers, like Johnny Cash, Dolly Parton, Kenny Rogers, George Jones, Waylon Jennings, Hank Williams Jr. and so many more. Though the last "new" episode aired in 1992, HEE HAW remains one of the longest-running and best loved television variety shows of all time. In addition to this latest DVD release, HEE HAW is getting the Broadway treatment with the world premiere of the new musical Moonshine: That HeeHaw Musical September 2 at Dallas Theater Center. The musical distills the spirit of the iconic television series and bottles it into an original musical comedy. Set in present-day Kornfield Kounty, this highly anticipated show introduces a new generation of irresistible characters as it tells the story of Misty Mae, the ultimate hometown girl who heads to the big city and returns home with her slick city-boy beau. Featuring an original score by Grammy® Best New Artist nominee Brandy Clark and Grammy® Award winning songwriter/producer Shane McAnally (two of today's most critically acclaimed country music singer/songwriters) and a book by Robert Horn, the musical adds an exciting new chapter to the long-running HEE HAW story. 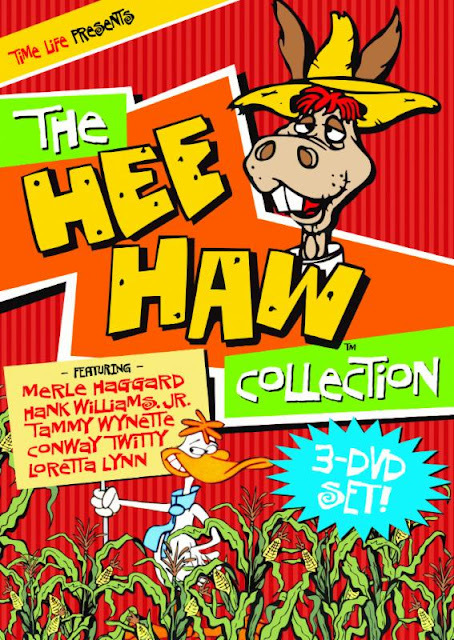 For true HEE HAW fans, Time Life will also be releasing several exclusive sets, only available online at http://timelife.com/products/the-hee-haw-collection or by calling 1-800-950-7887. 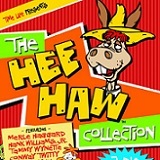 The direct response HEE-HAW COLLECTION offers either 11 episodes across 8 DVDs or 23 episodes across 14 DVDs, for approximately $100 or $190, respectively. Both sets arrive with hours of bonus programming including in-depth interviews and Hee Haw comedy classics.